← What if … every Olympic sport was photographed like beach volleyball? Apparently it was not only me who found the latest cover of Newsweek extremly startling. First I thought they “only” featured this cover photo for the international edition, but then I found out that the US national edition was exactly the same. Not surprisingly, it caught other people’s attention as well. 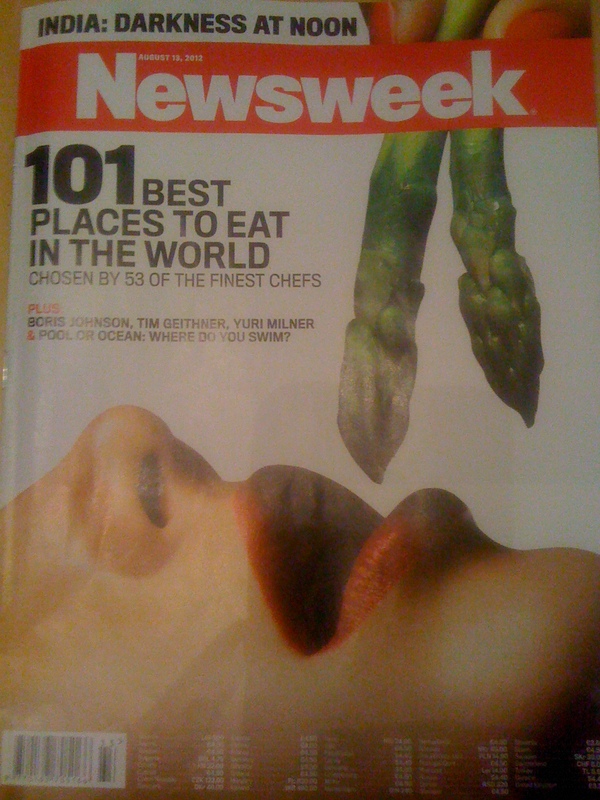 So when you run an article on the “101 best places to eat in the world,” do you really need to print a close-up of an unknown woman’s open and suggestive lips and a phallic-looking vegetable to attract more readers? Couldn’t something else have sufficed, like a nicely photographed plate of food? Or a picture of a restaurant? Major letdown from a magazine like Newsweek.